INDULGE yourself in ultimate beachfront luxury on world-renowned Kailua beach! This contemporary masterpiece, designed by award-winning architect Alwyn Trigg-Smith and built in 2008 features world-class amenities with German engineering, ultra modern kitchen and baths, vanishing walls of glass, expansive living spaces, a dramatic 80′ lap pool, a 1,200 sf master bedroom suite with forever coastal views, and your own private gym. ENTERTAIN friends and family, RELAX by the pool, PLAY in the surf and ENJOY the best of island living in this stunning private beachfront estate. 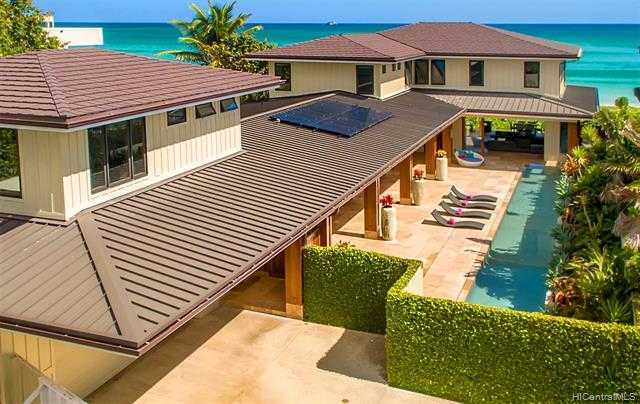 I would like to schedule a showing appointment for this property: MLS# 201901825 – $6,888,888 – 16 Namala Place, Kailua, HI 96734.